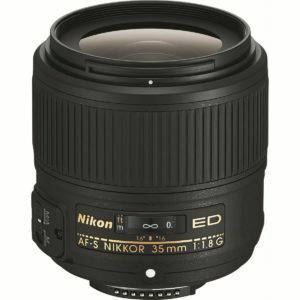 The Nikon AF-S 35mm f/1.8G ED is a wide angle fast prime lens designed for full frame Nikon digital SLR cameras. Since it is designed for full frame cameras it will also work on Nikon APS-C bodies such as the D3xxx, D5xxx and D7xxx series cameras. When used on these APC bodies the lens will capture a field of view equivalent to a 50mm lens on a full frame body. Nikon also makes an APS-C (DX) 35mm f/1.8 lens. That lens will mount to Nikon full frame bodies but will crop the image significantly as the image circle is not designed to cover the full frame sensor. When mounted on a 24 megapixel full frame body the image will deliver a 15 megapixel file. If you have an APS-C Nikon DSLR the DX version is one of my most recommended Lenses. It also costs quite a bit less at around $200. The Nikon AF-S 35mm f/1.8G ED is a good wide angle lens, but is it the best choice? The Sigma 35mm f/1.4 Art is generally regarded as the the best overall image quality, but it does cost quite a bit more than the Nikon. The Tamron is also very well liked and features a better build quality that is weather sealed and includes image stabilization for nearly the same price as the Nikon. So which one do I recommend? Overall I like the Tamron a little better. 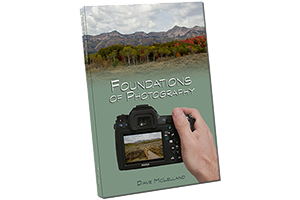 The Tamron is the best value 35mm f/1.8 lens on the market for Nikon bodies. Don’t get me wrong, the Nikon AF-S 35mm f/1.8G ED is a great lens, but th lack of features when compared to th competition put it a little behind. But if you must have genuine Nikon glass in front of your Nikon Camera, and can’t afford the f/1.4 version of the lens, then by all means get the Nikon AF-S 35mm f/1.8G ED. It if like me and you value weather sealing and image stabilization, then get the Tamron. based on 159 user reviews online.